After using the first step in double-moisturising, comes the second step, which is the normal moisturiser. Under the Kanebo Blanchir line, it is called the Milky Conditioner. I like the texture of this milky conditioner which is like that of a liquid gel. The moisturiser is an opaque creamy colour, like condensed milk, that spreads very easily. I like that because it means you don’t have to use very much to cover your whole face. There is a light scent but it doesn’t bother me. I like that it is light and soaks right into my skin nearly immediately. My skin feels hydrated and comfortable and it stays that way the whole day after I apply it in the morning. I’m not quite sure of its ingredients but I don’t think it has oil as a base. Usually, oil based products are heavier in texture but this one is light and does not leave a residue on my hands. It can be used both day and night, and I usually just pour a bit into my palm, rub both my palms together then spread it on my face. So far, I’m only using it in the day because I use the Night Conditioner for night use. 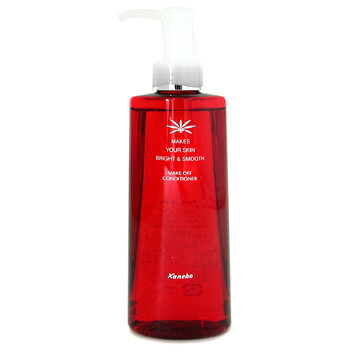 This milky conditioner comes in 2 formulations – normal and moisture. Moisture is for those with dry skin. I use the normal one and I have not experienced any problems with it so far. In fact, my skin seems to look and feel better. I don’t know about the whitening properties, but I do experience a brightening of the skin texture. As I am using nearly the whole line so far, I don’t know if it is attributable to just one item in the line. One thing I don’t like about it though, is the packaging. The bottle is hard plastic and you have to pour the emulsion out through a hole in the top. Its hard to control the amount that comes out, and there is a risk of pouring out too much. Also, when it finishes, it’ll be hard to get the residue out, which is a bit of a waste. This retails for about RM168 for 100ml. Compared to many other department store brands, I wouldn’t say its very expensive, but if you are used to using something from the pharmacy/drugstore then it does seem expensive. For me, this one works so I will be sticking to it for now. water.cyclomethicone.dipropylene glycol.octyldodecyl myristate.butylene glycol.glycerin.hydrogenated lecithin.potassium hydroxide.amino hydroxybutyric acid.cholesterol.carbomer.methylparaben.dipotassium glycyrrhizate.xanthan gum.acrylates/c10-30 alkyl acrylate.crosspolymer.rehmaninia chinensis(rehmannia glutinosa) extract alcohol.disodium edta.wheat(triticum vulgare) germ extract. methylserine.pyracantha fortuneana fruit extract.saxifraga sarmentosa extract. carrot (daucus carota) extract.licorice(glycyrrhiza glabra) extract. honeysuckle(lonicera caprifolium) extract.diisopropanolamine.cinnamomum cassia bark extract.sambucus nigra extract.job’s tears(coix lacryma-jobi) extract.phenoxyethanol.butylparaben.ethylparaben.propylparaben. I was introduced to the concept of “double-moisturising” by the people at Kanebo. what it entails is 2 levels of moisturising i.e. through the clear conditioner and then regular moisturiser. After cleansing, your skin needs moisture to be reintroduced back into the skin and this is where the Clear Conditioner comes in. It might be more easily identified as a toner, but where a toner traditionally cleans off excess dirt and closes pores, the Clear Conditioner is designed to add in moisture to the skin. The texture is a clear liquid, like water with a yellowish tint. You are recommended to saturate a cotton pad and then lightly pat it (not wipe it) all over your face. This patting motion “pushes” the clear conditioner into your skin and contributes to the hydrating of the skin. Wiping doesn’t have the same effect. I have been trying this technique for a while and I find that to an extent, my skin does feel more moisturised after using this Clear Conditioner. Some days, I feel like I can just cleanse and use this conditioner and I’m done because my skin already feels sufficiently hydrated. That’s something I’ve never really experienced with any other traditional toners. I don’t follow instructions to saturate a cotton pad because I find it a bit of a waste. What I do is saturate part of the cotton pad, which I find is more than sufficient to cover the whole face. This Blanchir Clear Conditioner can also be used as a mask. If you buy one of the paper masks from a beauty shop like Sasa, you can soak it in the Clear Conditioner and use the conditioner as a mask. Your skin feels very nice and hydrated after that. It says “Whitening” but I have not experienced any whitening. My skin however, has been brightened by using this line. The whole bottle retails for about RM145 for 200ml, if I recall correctly. It too can last about 3 months with regular day and night use. 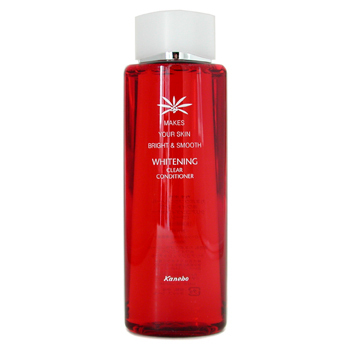 For double cleansing, Kanebo Blanchir offers the Clay Wash Conditioner as the second step after using the Make Off Conditioner. 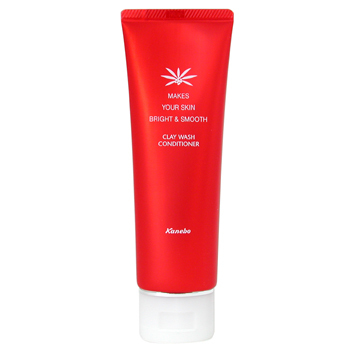 This cleanser is a foaming cleanser and comes in a traditional packaging of a tube. The texture is that of a cream that lathers up into a foam. As it is a clay wash conditioner, it is more suitable for those with oily skin because it might be too drying if you have normal or normal-dry skin. I have combination skin and if I use it by itself, then I do find my skin feeling tight after using it. If I use it after using the Make Off Conditioner or any cleansing oil, then the tight feeling isn’t there and the skin feels more comfortable. This reinforces my view that it is more suitable to people with oily skin. I like how the cream lathers up to a soft foam. The foam really feels very soft, like cotton wool which I find nice. This means also that you only need very little at any one time. I did not have any problems nor did I have any reactions to this cleanser. I don’t subscribe to any cleanser helping with “whitening” or “brightening” of the skin, as it is all washed away in the end so it doesn’t stay on your skin long enough to make a difference. This cleanser retails for RM125 for a 125g tube. Pricey for something that could easily be replaced by any other cleanser, in my view. I do however, like the “soft” texture of the lather which I don’t find in the many other brands I’ve tried.